Pai Gow Poker was invented in 1985 by a man named Sam Torosian, owner of the Bell Card Club in southern California. Like so many foreign concepts that the US has adopted and messed with, Pai Gow Poker is an Americanized version of the Chinese dominoes game known as pai gow, with each card given a numerical value and arranged into classic poker hands. Pai Gow Poker is known for its slow rate of play and relatively low level of risk. Like Blackjack, every player plays against the same dealer hand instead of one another, so the game is often social with an “us versus him” mentality that gives everyone a common enemy and makes players feel chummy toward their fellow gamblers. 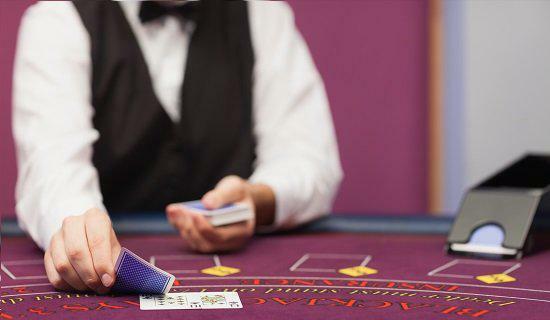 If you’re already a fan of classic poker and are looking for a twist on the old favorite, Pai Gow Poker could very well be your new go-to game. Read on to find out if this game is for you, how to play, and the Pai Gow pro strategy needed to maximize your winnings. There are usually six players and one dealer in a Pai Gow Poker game. The dealer gives each player and himself seven cards from one regular deck with an added joker. The four remaining cards are discarded. It’s a player’s job to combine his cards into two poker hands that will beat the dealer’s. The first hand is known as the “back hand” or “big hand”, and is a standard five-card poker hand. The second hand is called the “front hand” or “small hand” and consists of only two cards. The five-card hand must always out-rank the two-card hand. Once all the cards are dealt and the hands are set, players compare their individual hands to the dealer’s and the wagers are settled. If both of your hands are better than both of the dealer’s, you’re paid even money with a 5 percent commission withheld. If only one of your hands beats the dealer’s, your bet is pushed. If both of your hands are worse, you obviously lose your bet. Ties go to the “banker”, which is a position that rotates around the table among the players or switches from dealer to player to dealer to the next player, etc. The player can decline to bank, in which case the option will be passed to the next player or to the dealer. The joker can be used to substitute for any card to complete a straight or any suit to complete a flush. If it can’t be used for either of those, the joker functions as an ace instead. In the two-card hand, a joker is always an ace. The ranking for the hands is the same as classic poker with one exception – the A2345 straight, also known as “the wheel”, is the second highest straight in Pai Gow Poker. Some casinos have dropped the rule, but many still follow it. The two-card hand is either a pair or not, after which the value is gleaned from the individual cards. Pai Gow Poker is considered a relatively low risk casino game. Because players are attempting to beat the dealer with two hands in one round instead of just one, there’s a greater chance for one of the player’s hands to beat the dealer’s. And when this happens, as we know, the player’s bet is pushed. So players may find themselves breaking even more often than losing, which isn’t a great thing but certainly isn’t a bad thing either. This affects the strategy for Pai Gow Poker as well. Because you don’t lose your wager if only one of your hands beat the dealer’s, the common rule is to divide your hand in a way that gives you the best two-card hand without going above the five-card hand. This gives you a greater chance for beating the dealer with both the front hand and the back hand, versus throwing your two weakest cards in the two-card hand in hopes of making your five-card hand stronger. The exception to this rule comes when a player has the ability to make a very strong five-card hand. If you’re able to make a straight or better, then you’re almost guaranteed to beat the dealer. This gives you the opportunity to put the other cards in the front hand while knowing that your back hand is almost sure to win. When you’re trying to divide hands with no pairs, the common method is to leave the highest card in the back hand and bring the next two largest cards into the front hand. This makes your front hand as strong as possible without outranking your back hand, giving you a better chance of beating the dealer on both hands. The best strategy to maximize your winnings in Pai Gow Poker is to memorize the poker hand rankings. When you’re playing online, the computer automatically prevents you from making your two-card hand higher than your five-card hand and lets you know when you’ve won or lost each hand. The dealer and other players might help you out at the table, but if you’re playing at a brick-and-mortar casino, make sure you’re comfortable with the poker hand hierarchy. The second-best strategy is to practice playing. Hey, you’ve gotta walk before you can run, right? At least, you have to if you don’t want to seriously hurt yourself. On Slots of Vegas, you can play Pai Gow Poker instantly without putting down any money on the virtual table. Once you’ve become a Pai Gow pro, you can start playing the exact same game for real money. 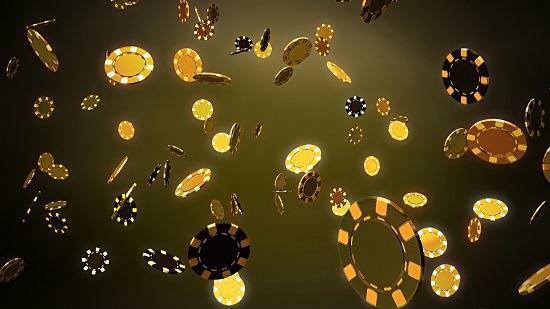 Head over to Slots of Vegas online casino and start raking in the chips today!